Chinese martial art is one of the signature items of China, which is associated to Chinese cult of viewing and conducting life with discipline and austerity to achieve a higher level of physical and mental integrity. 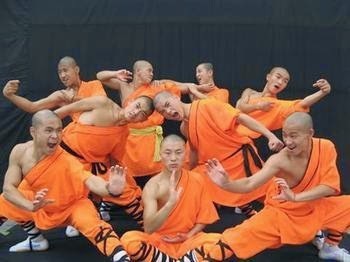 The Kung Fu Show in Read Theater, Beijing is a national tribute to China’s martial art. Impeccable stage arrangement, lighting, and awesome performance are the main US s of this theatrical performance, which pulls thousands of crowds, local and foreigners for years. The Read Theater is located at 44, XingfuDajie, Chongwen District of Beijing and this is the place where this famous Kung Fu Show of Beijing takes place. The show title remains the same, which is Legend of Kung Fu although different performers take part in playing the roles. It tells the story of a little boy how he became the Kung Fu Master through a series of labors and hardships. The story line remains the same for everyday show: a little boy was sent to Buddhist temple to be trained as a monk in his young age. He had to work hard to get himself accommodated with the strict discipline of the temple and there in course of the events, he became influenced by Kung Fu-the martial art. He worked hard but on his way to achieve his success he was distracted by a lady and his roadmap to success was badly hampered. However, Chun Yi, the boy punished him severely and came back on track and became a Kung Fu Mater ultimately. The famous Kung Fu Show of Beijing remains divided in 6 scenes and the performers are chosen from all over China within 17-year age bracket. It is an 80-min show and only actions are used to depict the show, performers do not interact. The show includes excellent choreography, lighting, and stage decoration. There is a huge board for displaying the subtitle of the show in English language for the assistance of the tourists. Here spectators are allowed to take photos with Kung Fu ShowBeijing performers.